We’ve been getting some great feedback about our recent launch of Readysell Web Beta, and in Readysell 8.34 we’ve worked to not only move the web client forward, but to bring new improvements to our Windows client as well. Here’s some of the things we’ll be rolling out over the next week. Staff can’t find the document they need? Can’t control who gets access to sensitive documents? Because many of our customers spend so much of their day in their Readysell ERP system already, we’re introducing document management features to help. 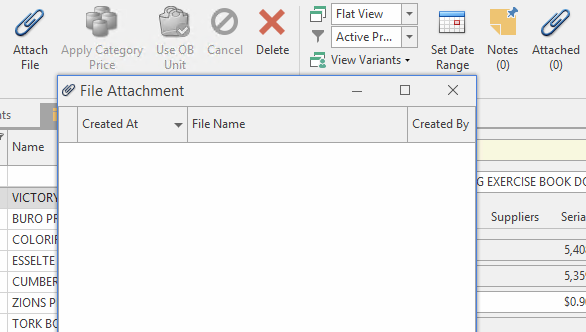 Any record in Readysell can now have a document or file attached to it – just hit the “Attach” button. We’ve also added a centralised view of all attachments within the system so you can find your files easily. Get rid of some of your filing cabinets and allow your staff to quickly and securely find the document they need using Readysell. While we are continuing to strive to provide electronic integration with a wide variety of suppliers in the office supplies industry, we recognise that some suppliers provide capabilities that we can make use of to help before we get there. You don’t have to type GNS purchase orders into your system any more. GNS Wholesale allows you to export purchase orders generated on their site and you can now click the “Import” button in Readysell to import this right into your system. Some setup may be required, so please get in touch with us if you don’t see the button on your purchase screen. We’ve had great feedback out the efficiency gains that Readysell automated warehousing can bring to our customers, but one side-effect of automating warehousing is that sometimes you end up with more shipments than you need. 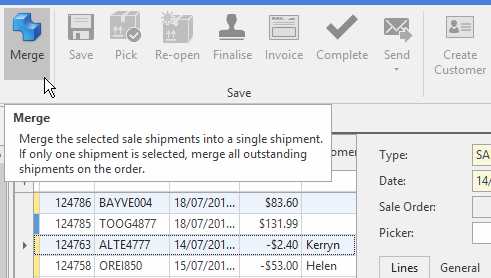 Some of our customers have asked for an easy way to combine these multiple shipments, and that’s exactly what the new “Merge” button does. 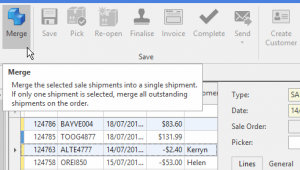 All dealers can now save time by using the new merge shipments button. This is a feature you should be using! We’ve leveraged some of the new technologies supplied by our technology partners and providers to help improve the performance of Readysell Web Beta. We’ve also squished a number of bugs reported by our customers. Thank you! Keep the feedback coming. 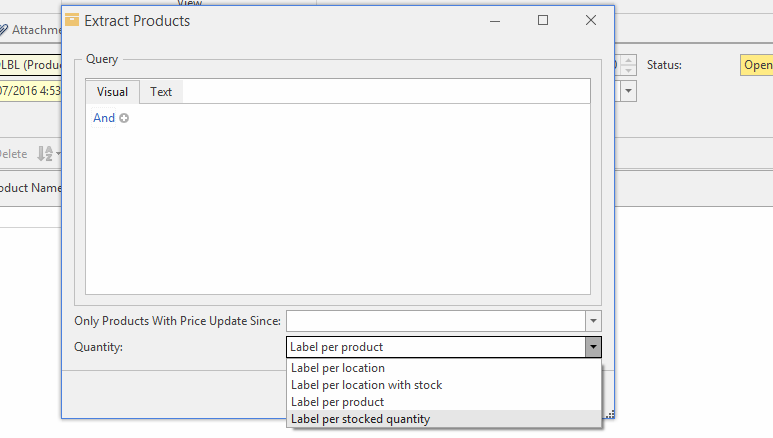 We’ve improved label printing from within Readysell so that when you extract labels, you can now choose how many labels we will generate for each extracted product. We’ve also added the capability to generate product label runs right from the Readysell Mobile app. Just scan the products you want to print labels for, submit to Readysell, then review and print as usual. 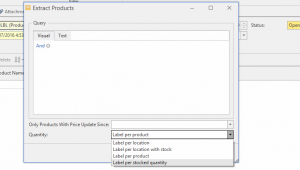 If your business includes some retail, you can will benefit from those new label features and B2B dealers can save some time too with the new mobile label features. Our documentation is in the process of being updated to reflect the latest changes, but we know that it can be tough to wrap your head around what’s new and how it affects you. Please open a ticket through our Support Centre and we’ll be happy to help you out. We’ve also made a number of other improvements and under-the-hood changes. Here’s a full list. If you’d like more details about any of the below items, please don’t hesitate to get in touch with us through our Support Centre . 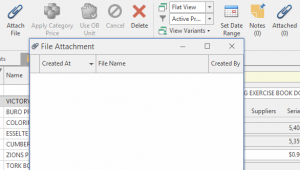 11859 Add ability to archive purchase run sets. 12126 Improving Product label extract.